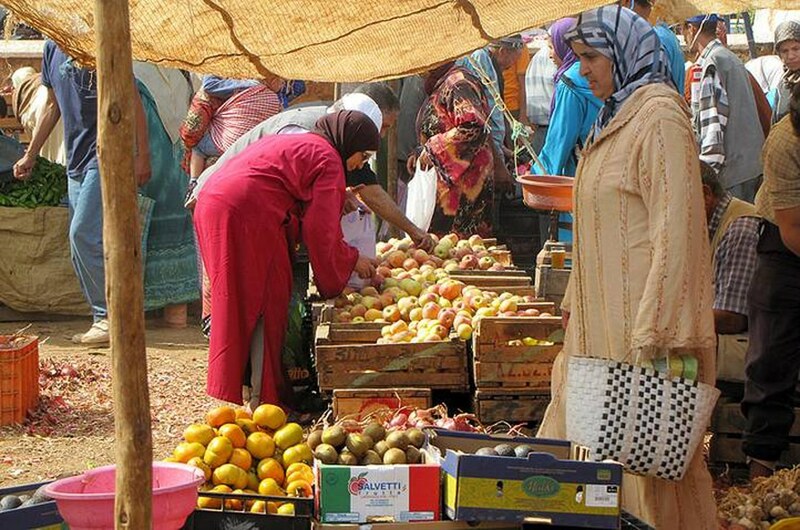 Market in Bahlil / Photo FanackWith a population of 32 million, Morocco is one of the larger Arab states (about the same size as Iraq), with a society and culture that has Arab and Berber origins and strong Jewish and European influences. Because of rapid urbanization, the distinctions between Arab and Berber have become both more blurred and politically more distinct: Berber identity is an important political consideration in modern Morocco. The Moroccan population is almost entirely Sunni Muslim, though this has not always been true. While Christianity has been confined almost entirely to expatriate residents, there was a historically important Jewish community that remains influential, although its numbers declined steeply in the second part of the twentieth century. The interaction between the Jewish and Muslim communities has always been important politically, culturally, and economically. Morocco has a history of authoritarian and repressive government, particularly under the late King Hassan II (r. 1961-1999), but even during that period an appearance of democracy was preserved. In the final years of his life and under the rule of his son Mohammed VI, there was a political opening: the press is now theoretically free, although it is restricted by a myriad of regulations and pressures. Moroccan literature and music have a history of interplay with Europe and French, and English writing has, to a certain extent, been influential.